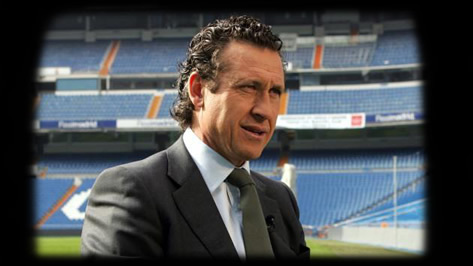 Jorge Valdano: "Cristiano Ronaldo is a blessing for Madridismo. We wouldn't trade him for anyone"
09.01.2011 »» Jorge Valdano: "Cristiano Ronaldo is a blessing for Madridismo"
Jorge Valdano: "The players proved tonight that they are worthy of wearing this crest. Cristiano Ronaldo is a blessing for Madridismo. We wouldn't trade him for anyone"
Jorge Valdano has nothing but kind words for Real Madrid following their stunning turnaround against Villarreal on Sunday night. "Villarreal was the best team to pass through the Bernabeu in terms of ball control. They dominated the first half, but things changed in the second. Casillas really didn't participate in the second and we controlled the situation with a lot of pressure and effort. Barcelona know that Real Madrid is a very competitive team. This duel is something I have never seen in my life and it will be very interesting but very stressful." "This was a hard-fought match and the players put on a heroic performance. Key coaching decisions were made in response to the difficulty on the pitch. This kind of turnaround always pleases fans, and more so against great teams like Villarreal." "Cristiano is a blessing for Madridismo. We wouldn't trade him for anyone. He provides so much during matches, training sessions and every day. We can't ask for more. He always appears full of energy when the team needs him the most and he gets us out of trouble like he did tonight." "Kaka looked very comfortable, optimistic and happy. He was out for almost eight months and worked hard to return to this level. We will enjoy watching him play. Kaka is an extraordinary player who we have a lot of faith in for the rest of the season. He will drastically improve our midfield from here on out." "I can only congratulate the players. Tonight they proved that they are worthy of wearing this crest."